Labelexpo Americas is the prime opportunity to witness the new face of Mark Andy and truly understand our commitment to the converter. Formerly a company maintaining an OEM-centric business model, the organization has more than doubled its supply and service operations and expanded workflow offerings in recent years. Six new innovations never before seen by the Labelexpo Americas audience will be unveiled and eight technologies are slated to be demonstrated during the three day event in stand 319. On its stand, the press manufacturer shows the new FA and the Panorama Hybrid press, while the new FB-350 is on display at the Kurz booth. Nilpeter’s new offerings are said to be ideally suited to the next generation of printers, and the needs of Industry 4.0, thanks to their automating of almost all processes. As a leader in the development of dry toner printing technologies, having been in the dry toner research and development game for 30 years, Xeikon is bringing its latest dry toner developments to Labelexpo Americas. The new next-generation QB toner replaces QA-I and ICE toners for Xeikon 3000 series and Cheetah digital label presses. QB toner is now being shipped with all new label & packaging presses from Xeikon. Existing customers will be able to upgrade their presses in early 2019. Xeikon will be located in the Flint Group booth, Hall A #728, at the show, scheduled for 25 to 27 September at the Donald E. Stephens Convention Center, Rosemont, Illinois. Mouvent makes its US debut at Labelexpo Americas: Presenting its Cluster technology for digital label printing. Mouvent is making its US debut at Labelexpo Americas 2018, and presenting its Cluster technology for digital label printing. The Mouvent Cluster uses extremely compact and lightweight clusters instead of fixed size print bars by color, arranging them in a modular, scalable matrix. The result is one system that can be adapted for all sorts of substrates, widths, and for all type of markets. 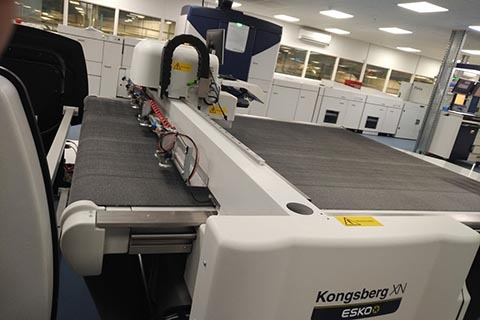 Esko’s innovative packaging software solutions for brand owners, trade shops and converters, as well as a Kongsberg X22 cutting table will be on show at Esko’s booth 438 in Hall 7A. At the show, Esko will address the various packaging development challenges faced by brand owners, premedia and converters, aiming at streamlining the end-to-end production. Esko connects the different stakeholders in the packaging workflow on one platform, delivering transparency and higher efficiency, faster time to market and fewer human touchpoints, thus reducing chances for errors. 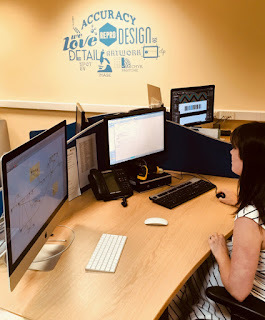 Job specifications, order information, approval cycles, CAD and graphic data, manufacturing and logistics requirements and more, all come together in one connected and integrated workflow. Xeikon’s Panther technology has achieved UL certification in combination with UL (Underwriters Laboratories) is an internationally recognised safety science company. This certification allows Xeikon and FLEXcon to use the UL mark on their products. Xeikon's Panther technology is specifically designed to work with its Panther series of presses the PX3000 and PX2000. 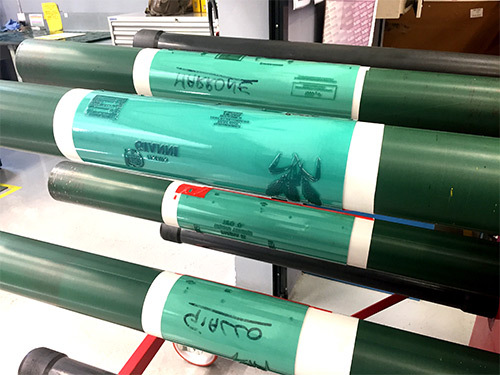 The UV-inkjet presses use PantherCure UV inks that offer a glossy, tactile finish and eliminate the need to varnish specific substrates, while offering great durability and chemical, mechanical resistance. The growth in the Label industry globally has been phenomenal in the last few years. Not only is the success rate very high across the globe but the pressure sensitive adhesive labels industry is growing at a steady and rapid pace in India. The changing scenario in the Indian label industry has made many printing companies to jump onto the bandwagon and plan their future in this fastest growing industry. 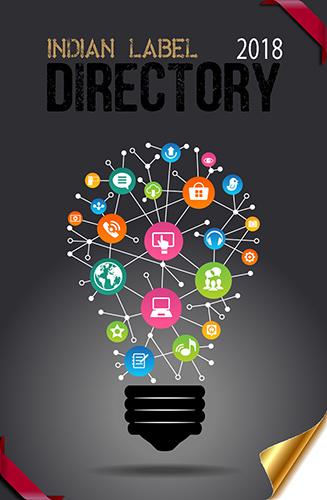 With a lot new entrants moving into the industry setting up shops and established label industry guys adding on to their facility, it was time for us to refresh our data and come out with a new edition of our directory. Focused on the region’s strong and fast growing market, the latest edition to the Indian Labels Directory portfolio will be a ready reckoner to the market for this industry. 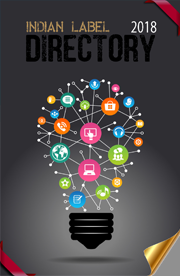 A bible for the Label industry, the Indian Label Directory is a one-stop reference manual, giving one instant access to information on press / ancillary equipment manufacturers, materials and services suppliers and label printers. Asahi Photoproducts, a pioneer in flexographic photopolymer plate development, today reported that Cartotecnica Postumia, a producer of square-bottom bags for the food industry, customized shopping bags, and printed paper rolls for use in automatic packaging machines, relies on Asahi AFP-DSF digital flexographic plates for delivery of the highest quality to its global customer base demands. Cartotecnica Postumia, who recently celebrated its 50th year in business, has used Asahi plates for 25 years now, using nearby repro house Thema Studio for plate production. The Indian company has acquired a Comexi F2 MP, a hybrid flexo machine prepared for the market trend of flexible packaging. 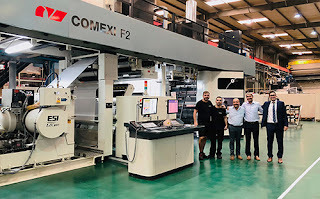 Comexi, global leading supplier of solutions for the flexible packaging printing and converting sector, and Vishal Containers Ltd., a packaging solutions company from India, have strengthened their commercial relationship with the acquisition by the Indian company of a Comexi F2 MP, a hybrid flexo machine prepared for the market trend of flexible packaging. This purchase represents a step forward for Comexi in its commitment to consolidate itself as a reference in the flexographic technology market, while for Vishal Containers Ltd. it represents its first investment in flexographic presses, since until now they were gravure specialists. The unprecedented success of Pamex 2017 is still the talk of the town and so the hopes with next edition are high. 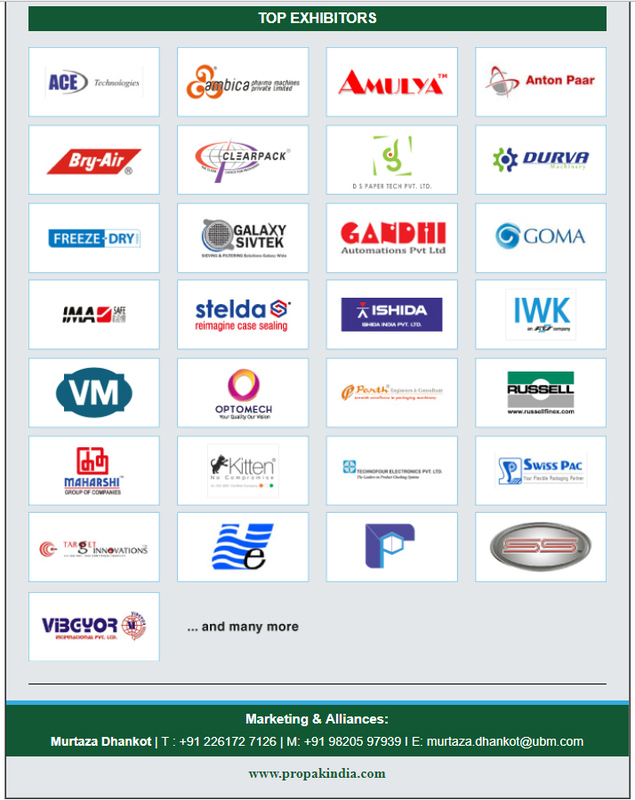 The International Exhibition on Printing & Allied Machinery Industries is ready to take up the challenge. The year 2020 will have a grand start with the grand printing exhibition happening from 6-9 January at Bombay Exhibition Centre, Mumbai. Around 120 exhibitors have already booked their stalls at the event. 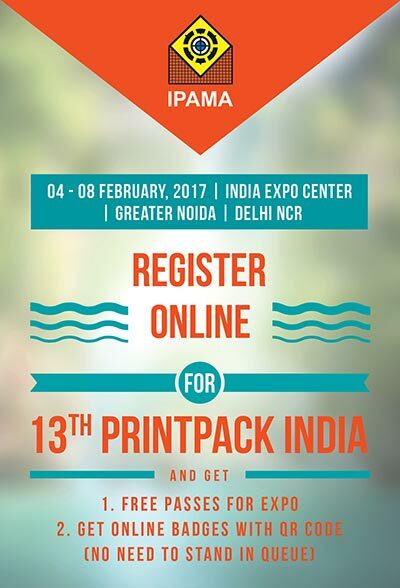 The Indian Printing Packaging & Allied Machinery Manufacturers’ Association (IPAMA) is preparing for the organisation of the 14th edition of PrintPack India exhibition, which is scheduled to be held at India Expo Centre, Greater Noida from February 01 - 06, 2019. It is a premier international exhibition on Graphic Arts Industry in which exhibitors from different countries participate with their latest models of machinery and other related products. 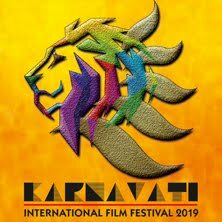 Till 6th September 2018, 363 Indian and overseas exhibitors have already confirmed their space booking. The process of allotment of stands to the exhibitors is also going on in a most transparent manner by an expert committee and is expected to continue till December, 2018. The exhibition will cover a gross area of more than 50,000 square meters. 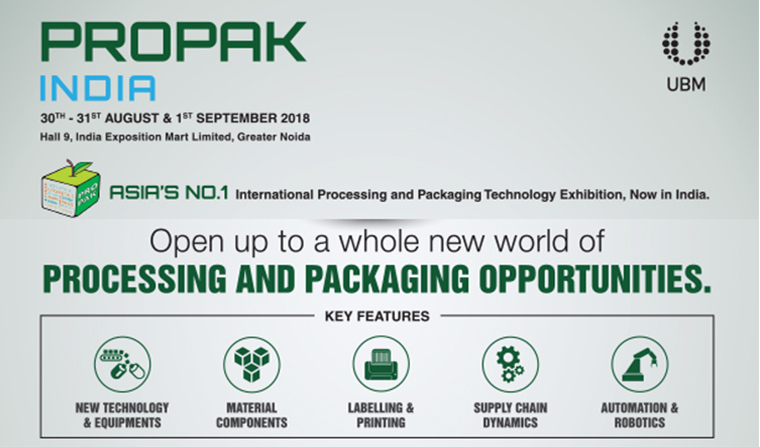 Sappi, a leading global producer of packaging and speciality papers today reported it is again exhibiting at FachPack, scheduled for 25 to 27 September 2018 in Nuremberg, Germany. Sappi will be located in Hall 9, Stand 9-260 at the show. The trade show, with a focus on packaging, technology, finishing and logistics, is a key platform for the manufacturer of speciality papers and boards for presenting its innovative and sustainable packaging solutions to a broad European expert audience. Well-known brand owners, agencies, packaging manufacturers, printers and print finishers will be showcasing their latest products and solutions while also seeking new and innovative ideas. Under the slogan of “Paper. People. Possibilities.”, Sappi will have on display outstanding solutions of applications produced on a variety of packaging papers and boards, ranging from functional papers, flexible packaging and label papers, paperboard and containerboard. 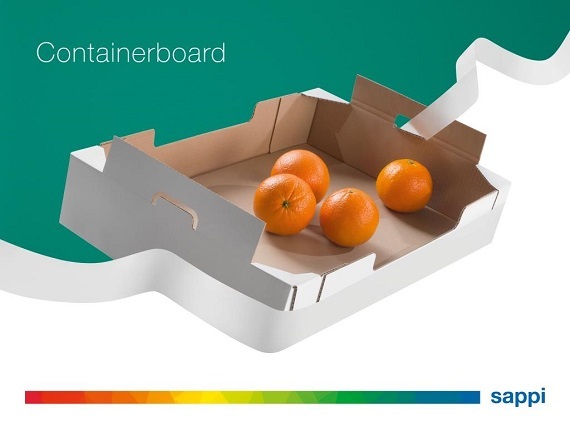 Visitors to the Sappi stand can benefit from the expertise of Sappi representatives as well as discuss their specific packaging requirements. 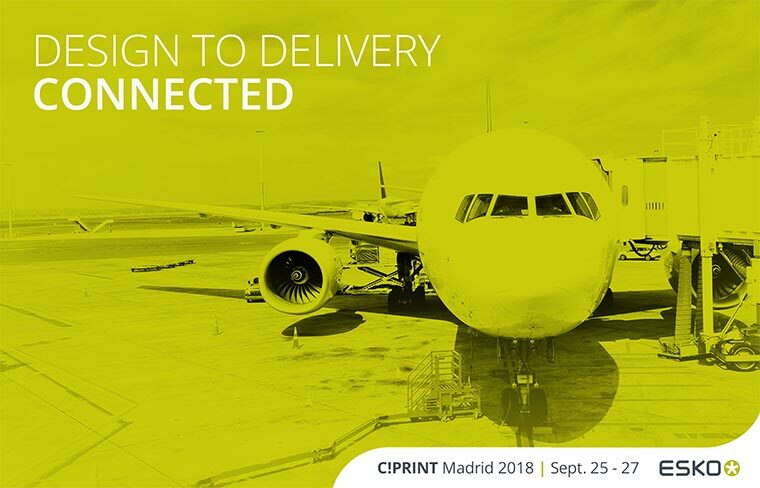 Esko will help corrugated converters ensure that their production takes flight at C!Print, Madrid, with systems that deliver automated end-to-end workflow for faster time to market, fewer errors and improved profitability. The show’s focus will be on streamlining the process from design request to shipping. 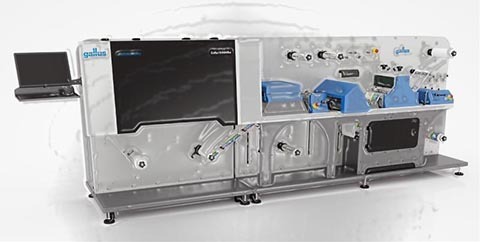 Through the live demonstration of the integrated Esko Software and Hardware solutions, visitors will find new ways to eliminate waste in their workflow, reduce bottlenecks and improve set-up times. They will learn how to avoid equipment idle time, incorrect material handling and lack of workflow control, and will also re-think complex manual steps. Mimaki, a leading manufacturer of wide format inkjet printers and cutting machines, will be showcasing innovative solutions for printing on a wide variety of media at FachPack, the trade fair for packaging, processing and technology, scheduled for 25 to 27 September in Nuremberg, Germany. Mimaki will be exhibiting in Hall 8, Stand 8-301 at the show, in partnership with Ernst Mendel GmbH. Visitors to the Mimaki stand will see innovative workflow automation solutions, as well as stunning examples that demonstrate the possibilities enabled by Mimaki’s advanced printing and cutting technologies. The company will also hold a technology demonstration of a new silver ink that will enable users to create metallic effects and colours on substrates such as wood, glass, metal and more. 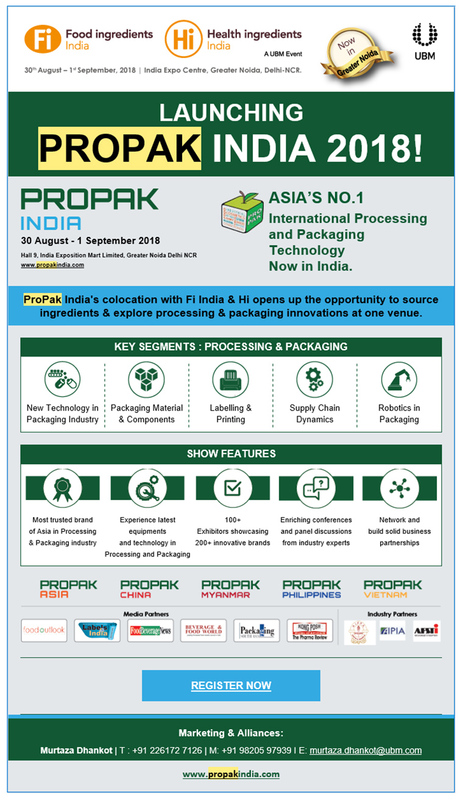 UBM India, India's leading exhibitions organizer, is all set to host the first edition of the ProPak India expo, catering to India’s ever growing processing and packaging industries. It aims to bring a comprehensive market overview and a conglomeration of internationally renowned professionals from India and overseas. At Label Expo 2018 in booth 6523, Domino will be bringing a flavor of their ‘Digital Printing Spectrum’ open house event to the show, welcoming attendees to “See More. Learn More. Do More.” with a complete Schedule of Events and a line-up of guest presenters who are well-known, well-respected in the industry. Focus Label Machinery Ltd are pleased to announce a new partnership for Spain (Peninsula, the Balearic and Canary Islands), with Sercoyse SL as the newest agent in their portfolio. James Thomas. Business Development & Marketing Manager stated ‘Sercoyse’ have a long established mechanical and electrical engineering business with a breadth of knowledge in the narrow web, offset, packaging and labels market place with their own installation, service and support of machinery alongside representation and sales of partner products and consumables. Join Mark Andy on 11-13 September for The Power of Hybrid Forum at its European headquarters in Warsaw, Poland. Programming will consist of interactive demonstrations and panel discussions on relevant industry topics, such as digital hybrid and low migration. The forum will be conducted in English on 11-12 September and in Polish on 13 September and provides networking opportunities with the Mark Andy staff plus key industry suppliers. The Power of Hybrid forum will also serve as a Labelexpo Americas preview, with the company expecting record attendance. Mark Andy is pleased to announce Progressive Label Manufacturing’s factory expansion with the new Mark Andy Performance Series Press. The company is going green with the new P-5 LED/UV technology that we pride ourselves on. Epson announced its Epson SurePress L-4533A/AW digital label press has been evaluated and approved by Pantone, the provider of professional color management services and tools, for its capability to achieve 91 percent1 of the Pantone Solid Coated Colors within delta E of 1.5 CIEDE2000. The Epson SurePress L-4533A/AW is certified to reach its full Pantone coverage capabilities when used in conjunction with the Avery Primax 250TC/S692N/BG40W/BW6033B PS label media and Epson ink. 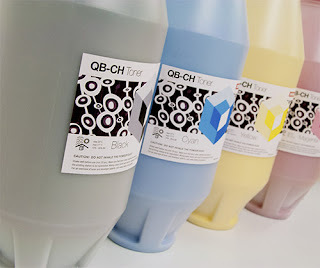 Toyo Ink Co., Ltd. and Toyochem Specialty Chemical Sdn. Bhd., both member companies of the Toyo Ink Group of Japan, will be jointly exhibiting at ProPak Myanmar 2018, the trade event for Myanmar’s developing food & beverage, pharmaceutical processing and packaging industries. 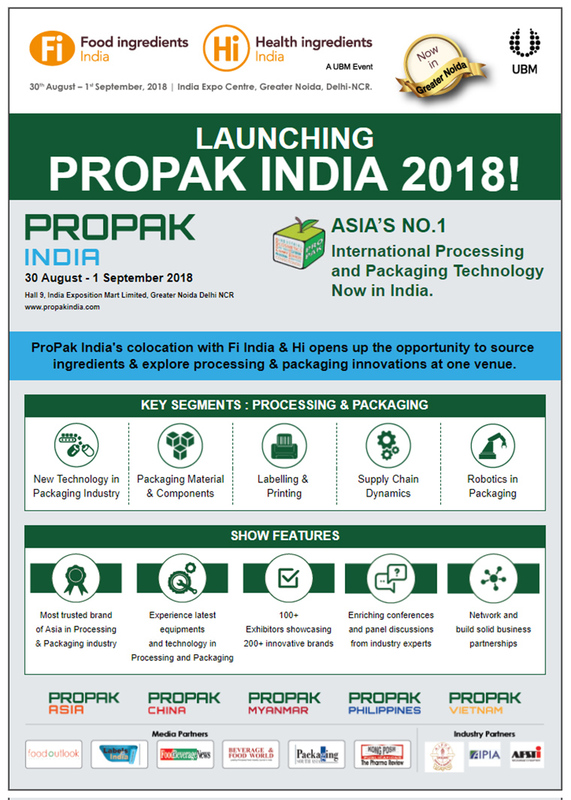 With this being the first time the Group participates in ProPak Myanmar, the two firms will be looking to spotlight a collective portfolio of inks, coatings, adhesives and specialty products tailored to meet the performance needs of international food producers and brand owners that have, in recent years, established a foothold in the country. The organizers of Labelexpo India 2018 are hosting a series of evening forums across South Asia during late August to late October in conjunction with several industry trade bodies representing the package printing industry. Held in India, Sri Lanka and Bangladesh, the seven events are aimed exclusively at offset printers who are thinking about diversifying their businesses into label and package printing. 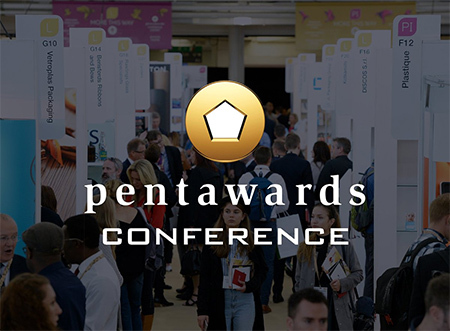 Experts from Diageo, Design Bridge, Free the Birds, Hello Day and GSK are just some of the major packaging influencers, designers and international brands taking part in the Pentawards Conference at Packaging Innovations and Luxury Packaging London 2018. Electronics For Imaging, Inc. and Thai Containers Group Co., Ltd. (TCG) in Packaging Business SCG, announced a new digital printing partnership to significantly enhance TCG’s corrugated packaging offerings. The Bangkok-based SCG Group subsidiary – one of Southeast Asia’s leading packaging providers – has purchased an EFI Nozomi C18000 ultra-high-speed, single-pass digital inkjet corrugated packaging press. 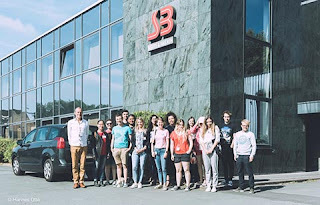 Esko has shared its know-how for flexible packaging with an international group of young graphic arts graduates during the fourth annual Flexible Packaging Honours Class. 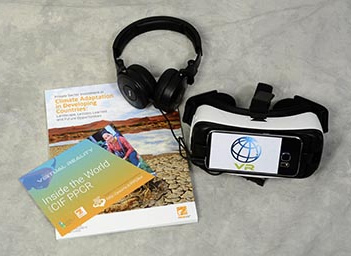 The two-week initiative, developed by the university’s Graphical and Digital Media department, is designed for students at the top of their university class. It focuses on the production of flexible packaging, including design, prepress, file handling and plate making operations. 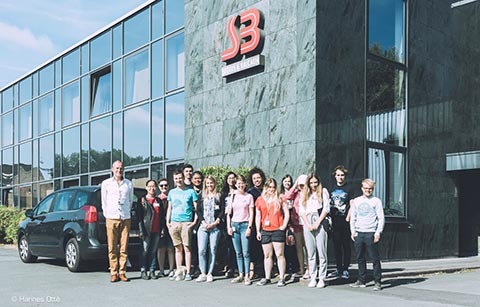 The course was held at Esko’s headquarter offices in Ghent, Belgium, June 18 to 29. From September 25th-27th, EyeC will present at Labelexpo Americas in Chicago its wide range of print inspection systems for label and flexible packaging. Visitors will have the opportunity to see the newest EyeC systems in action at both the company’s booth and at the Rotoflex booth. Sophisticated label substrates have experienced exponential growth due to demand for high-end applications according Finat’s latest findings. Since 2010 demand for PP-based materials has grown 78%, direct thermal papers are up 51% and white coated papers enjoyed a 24% increase. The figures show that while paper based materials continue to dominate label materials demand, there has been a shift from basic primary and VIP labels towards more sophisticated, high-end applications. Firstan Limited, Cambridge, UK, has successfully piloted a newly developed interface between Esko’s Automation Engine Connect and EFI’s Radius software applications. The pilot at the leading independent pharmaceutical packaging and food packaging manufacturer comes two years after Firstan’s £7m investment in two Komori 18,000sph presses – a six-colour Lithrone GLX640 and a multi-unit Lithrone GLX40RP, and a Bobst Expertcut die cutting blanking machine. Established in 1976, Firstan employs 140 and has a turnover of £24m. The company produces one billion cartons a year and has two main divisions – Firstan Pharmaceutical, which develops and manufactures pharmaceutical and healthcare packaging, and Firstan Quality Packaging, which supplies food, confectionery, cosmetics and beverage cartons and sleeves. 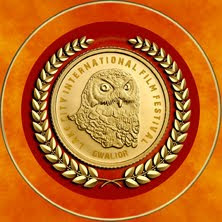 It prides itself on its award winning in-house design and repro studio, and utilises the latest production machinery. It has an optimum factory workflow, and, with the combination of Esko’s Automation Engine and EFI’s Radius packaging MIS solution, delivers market-leading quality and service. Registration for the 6th edition of Labelexpo India, the largest label and package printing event in South Asia, is now open. The show is set to take place once again at state-of-the-art venue India Expo Centre & Mart in Greater Noida (Delhi NCR), from 22-25 November. 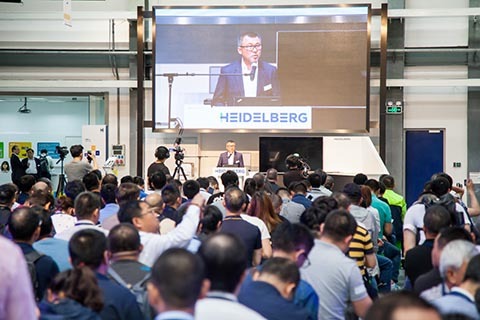 On May 23rd and 24th, more than 250 visitors from Greater China as well as from Asia Pacific regions joined the Packaging Day at Heidelberg Print Media Center in Shanghai, China. Under the theme “Think out of the Box”, they were able to see for themselves the latest Packaging Solutions from Heidelberg, which is aimed to help them stand out from the market competition, and continuously grow a profitable business and sustainable development in the digital era. Heidelberg offers solutions for consistent Packaging Workflow with complete end-to-end box production. All presentations and demos showed the visitors the complete process chain until the finished box. Also seamless integration of die cutting, inspection and folding carton gluing are all essential for an effective packaging production. Developing ways to harness the skills of tomorrow’s label converter leaders, driving industry efficacy, and understanding the major changes across the print technology base were the overriding themes of this year’s international labelling association Finat held its fourth European Label Forum in Dublin in June. 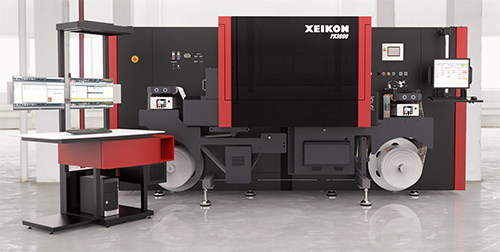 Xeikon is showcasing the business production capabilities and door opening opportunities presented by the Xeikon 9800 digital press at IGAS 2018, July 26- 31, Tokyo Big Sight (East Halls), Tokyo, Japan. 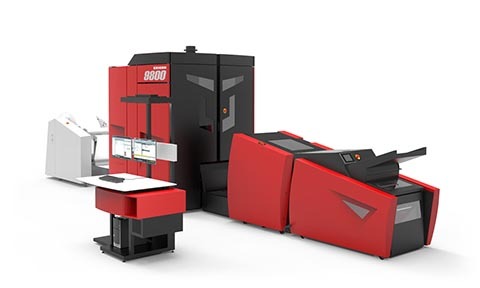 At the show, the Xeikon 9800 digital press will be equipped with a large-roll unwinder, a variable width stacker and a Web Finishing Module (WFM) for extra protection of the prints. 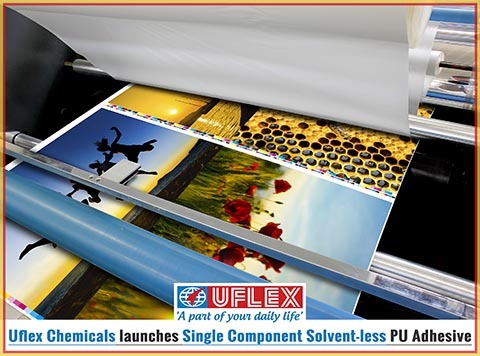 The chemicals business of India’s largest fully integrated multinational flexible packaging materials and solution company, Uflex Limited has launched a general performance, single component solvent-less PU adhesive - Flexbon OC512. Setting sight on newer geographies within the domestic market, this new addition will help Uflex gain toe-hold in the offset mono-carton industry. This product enjoys a strong demand across the Indian Market. Toyo Ink Brasil Ltda., a member of the Toyo Ink Group of Japan, today presented an upgraded lineup of high-performance polyurethane-based surface and lamination inks for flexo and gravure printing. The company offers a broad range of systems, from general-purpose snack structures to high-end retort and hot-fill packaging applications. drupa announced its partners represented on the steering committee for touchpoint packaging 2020: Agfa, Bobst, Danone, ESKO, Heidelberg, HP Indigo, Kurz, Nestlé and Siegwerk. The participating companies cover the entire spectrum of the process chain. Following its successful premiere at drupa 2016, touchpoint packaging will again be a special forum for brand owners and industry partners for innovative packaging solutions. drupa, No. 1 for printing technologies, will take place from June 16 – 26, 2020 at the fairgrounds in Düsseldorf, Germany. Esko’s collaborative project with The Alexir Partnership has enabled the UK operation to achieve cost and time savings while significantly growing turnover. Founded in 1989, The Alexir Partnership is an independent carton manufacturer serving the food and branded goods industries. It produces approximately 400 million cartons per year, primarily for the FMCG market, on two Komori lithographic printing presses and Europe’s first Xerox iGen 4 digital press with a thick stock option. 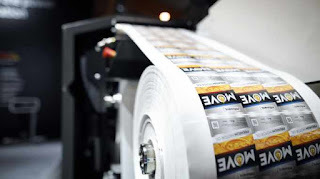 Several never before seen features will be on offer at this year’s Labelexpo Americas, the 16th edition of the show and the region’s largest trade event for the label and package printing industry. This includes an Automation Arena, a 1:1 appointment program, and the return of the TLMI Ecovillage. On 12th June, Mark Andy co-hosted a special event with Esko at its European headquarters in Warsaw. The event, which attracted 50 representatives from printing companies around Eastern Europe, included live demos of Mark Andy presses and Esko prepress solutions, the most important of which highlighted label printing using Esko Equinox software. 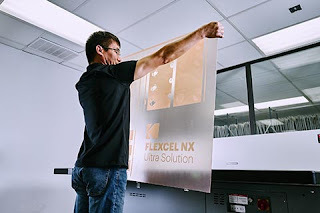 Flexfresh, the special patented film that Uflex Limited has developed comprising a proprietary polymeric formula elongating the shelf life of flowers is serving to be a boon for Flower Companies across the globe. Flexfresh works on the principle of Active Modified Atmospheric Packaging (AMAP) and happens to be the first ever film for packing fresh produce that is bio-degradable by composting and complies with all international regulations for overall migration (EC 1935/2004), reach compliance (EC 1907/2006) and qualifies for biodegradation under DIN EN 13432 (2000-12). The packaging can be industrially composted within 180 days. Memjet announces that the Gallus Group, a member of the Heidelberg Group, has utilized Memjet printing technology to power its new, full featured value offering for digital label printing, the Gallus Smartfire. Memjet technology gave Gallus the core elements it needed to introduce a cost-effective label-printing solution that could produce high-quality labels for a variety of markets. The Memjet-powered Gallus Smartfire opens new business opportunities for those looking to produce ultra-short run digital labels. Gallus will feature the Memjet-powered Smartfire at their Gallus Innovation Days 2018, taking place June 26–28 in St. Gallen, Switzerland. Markem-Imaje released Version 6.0 of its CoLOS information management system which provides manufacturers with even higher uptime, throughput and compliance in their product coding and packaging activities. Esko, a global technology innovator providing hardware and software for packaging design, development and production, reported that it has joined forces with Danaher sister companies AVT, X-Rite and Pantone to integrate its automation and collaboration solutions, with the X-Rite and Pantone color technology and AVT’s camera inspection solutions. 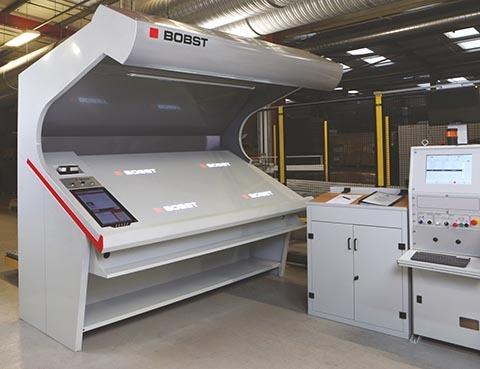 Bobst has unveiled its pioneering Digital Inspection Table – a novel technology designed to drive productivity and virtually remove print production errors. The Digital Inspection Table incorporates digital projection for the proofing of printed sheets and die-cut blanks, whilst providing real-time visual representations to match product with digital proofs. It uses HD projectors to illuminate the product sample with quality control imaging, enabling the operator to easily see if quality standards are matched or compromised. The aesthetic appeal of Multi-Color Corporation North America Wines & Spirits’ Sidewinder Spirits label helped it achieve the accolade of Best in Show at the 2018 Finat Label Competition. The next generation of leading packaging editor ArtPro+, the successor of the world’s leading packaging and labels prepress editor ArtPro, is ready to move prepress production to the next level. 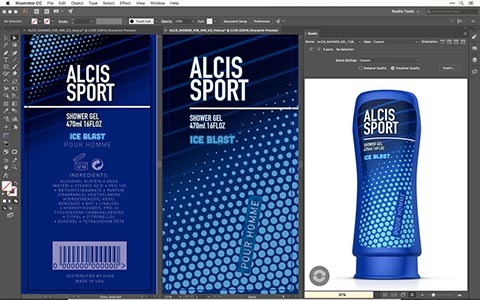 Highlighting on this, Esko announced a major new release of its packaging and labels prepress editor, ArtPro+. Built on decades of experience – with over 25.000 Esko prepress editors currently in use – this latest version is designed to fit the needs of today’s prepress production. At the annual conference for the In-Plant Printing and Mailing Association (IPMA), seven Kodak customers claimed twenty awards, out of a total of 79, recognizing their outstanding print achievement across multiple categories. The In-Plant Awards recognize the everyday achievements of in-house corporate publishing, printing and distribution professionals. IPMA is the only professional association dedicated exclusively to the needs of all in-house corporate publishing, printing and distribution professionals, providing expert educational and networking forums for its members. Triple tour dates in June adds to Xeikon's popular global educational digital print programme this year. This June, Xeikon is taking its successful Xeikon Café programme on the road in Australia and New Zealand. Three dates have been announced for Sydney, Melbourne and Auckland and they will continue Xeikon’s Learn. Connect. Discover. theme. The EyeC Proofiler offline inspection system from EyeC now offers improved workflows for pharmaceutical companies. The new software version, 3.4, meets the newest requirements for data integrity, data security, and audit trail during inspection of pharmaceutical packaging. Pharmaceutical companies can, not only perform fast and automated print sample testing, but also increase the security of their data and processes. All data can be simply and securely retrieved and presented during later audits. One of India’s largest manufacturers and exporters of beverages - Rasna International wanted an absolutely alluring packaging for its fruit powder concentrate. 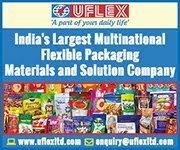 With this straight-forward brief, Rasna tasked Uflex – a company with whom it has had an association for over two decades, to come up with a unique packaging solution. At Fespa Global Print Expo in Berlin, Onyx Graphics officially launched Onyx 18 software, the latest version release that includes new color technologies for color accuracy, consistency, and conformance to standards such as G7 and Fogra that print service providers can prove to their customers. On opening day, Onyx 18 software was honored with the 2018 EDP Award for Best Color Management software. Aleyant, an innovative leader in providing robust software services to the graphic communications industry at value-driven prices, today announced it will conduct its first annual user conference in Downtown Chicago just prior to the start of PRINT 2018. Scheduled for September 29th, the event will offer Aleyant users the opportunity to meet with the Aleyant team, learn about the latest product updates and how to use them effectively, and network with peers. The event will run at the Park Grill in the heart of Downtown Chicago. Memjet, a leading developer of inkjet printing technology, announced today that it is a sponsor of the Smithers Pira Digital Print for Packaging Conference on June 4-6, 2018, in Chicago, Illinois. 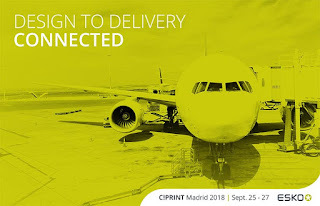 This event brings together top experts in the digital print and packaging industry to provide conference attendees the information they need to understand and capitalize on changes taking place in the rapidly evolving digital print for packaging sector. Comexi, a global supplier of solutions for the flexible packaging printing and converting sector, has widened its presence in the Spanish and Portuguese markets, achieving a sustained growth of 121 percent in the last four years. Since 2014, the company has registered a consolidated increase, managing an expansion of 180 percent in this last year alone, an unprecedented figure for the company in this area. Mumbai’s Sonic Labels have recently installed a Gallus ECS 340 9-colour flexo press. Established in 2011, Sonic Labels is just 7 years old, and also a first-generation printing business firm, which serves the Plastic Houseware, Pens and Cosmetic industries. Recently, the Mumbai-based print firm invested in a Gallus ECS 340 9-colour flexo press with Cold Foil/ Lamination and Chiller for printing self-adhesive, shrink sleeve, in-mould labels and unsupported films. Two previously-owned MPS flexo printing presses bound for South Africa are set for installation at separate label printers in Johannesburg. Rotocon is providing full-service of the presses, from procurement to complete installation and training. Color-Logic has certified the Nilpeter Panorama DP-3 stand-slone digital press for use with the Color-Logic process for label applications.